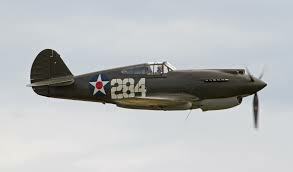 At 3:34 p.m. on March 31, 1943, 1st Lt. Daniel H. Thorson, 24, took off in a P-40E fighter plane, (#41-36514), from Mitchell Filed, on Long Island, New York, bound for Bradley Field in Windsor Locks, Connecticut. The weather was cloudy with a 1,400 foot ceiling. The trip was expected to take less than an hour, however when Lt. Thorson failed to arrive, and no word was heard from him, he was declared “missing”, and a search was instituted. After a week the search was called off. Then, on April 24th, two Yale Forestry School students conducting a timber survey on Blackberry Ridge in Norfolk, Connecticut, happened upon the wreck of Lt. Thorson’s plane. The wreckage was scattered over a wide area at the 1,571 foot level, and it was surmised the ridge had been hidden by the low cloud cover. Daniel Henry Thorson was born and raised in Great Falls, Montana. Before the war, he’d worked for Western Air Lines and Lockheed Aircraft in Los Angeles, California. 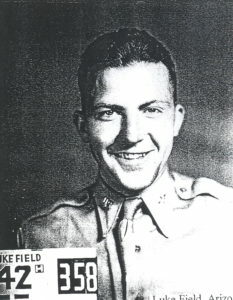 He enlisted in the Army on February 2, 1942, and completed his pilot’s training at Luke Filed, Arizona, on August 27, 1942. He was survived by his parents and three sisters, and is buried in Mt. Olivet Cemetery in Great Falls. In June of 2003, a memorial to Lt. Thorson was dedicated at the site of his crash by a group of local citizens. Great Falls Tribune, “Rites Conducted For Lt. Thorson”, unknown date. Great Falls Tribune, “Funeral Rites For Lt. Thorson Will Be Here”, unknown date.